I’m on my way back home tomorrow! I’ve had such a super wonderful time in St. Louis and am looking forward to a nice long hug from my husband. And some kitty snuggles. I’ll have a bunch of posts for you guys as I download photographs, experiences, jokes, and life lessons. For now, here’s a little insight onto how I’m able to turn trash to treasure with a little help from my friends. Yup, this one’s mostly batiks. Aren’t they pretty?! I turn on the TV or Hulu and start the sort. 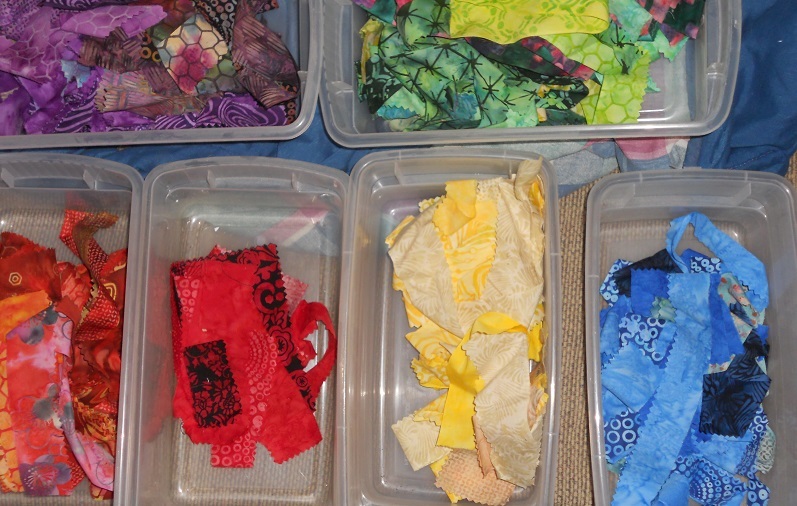 The pieces that are too small even for me (yes, there are a few) go in a bag for community service at one of my quilt guilds. 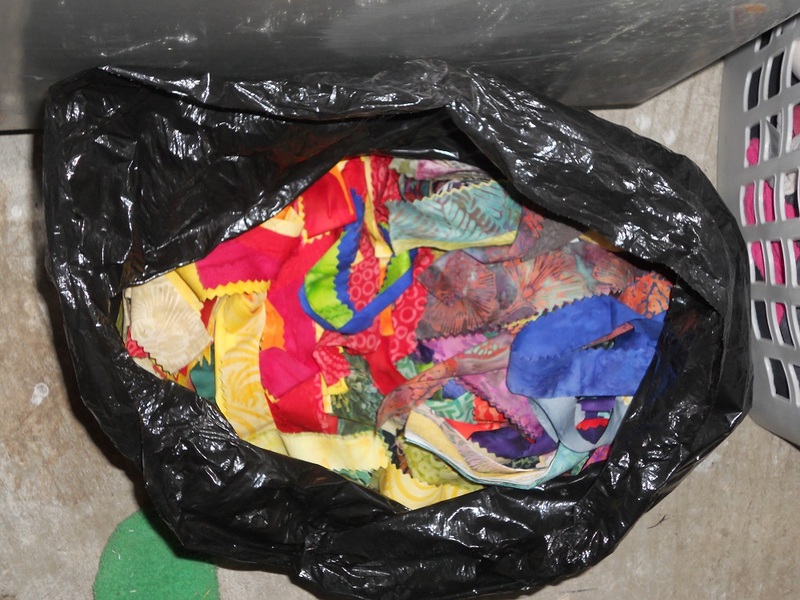 They stuff pillows for the homeless with those bits. The rest, I sort by color into bins. 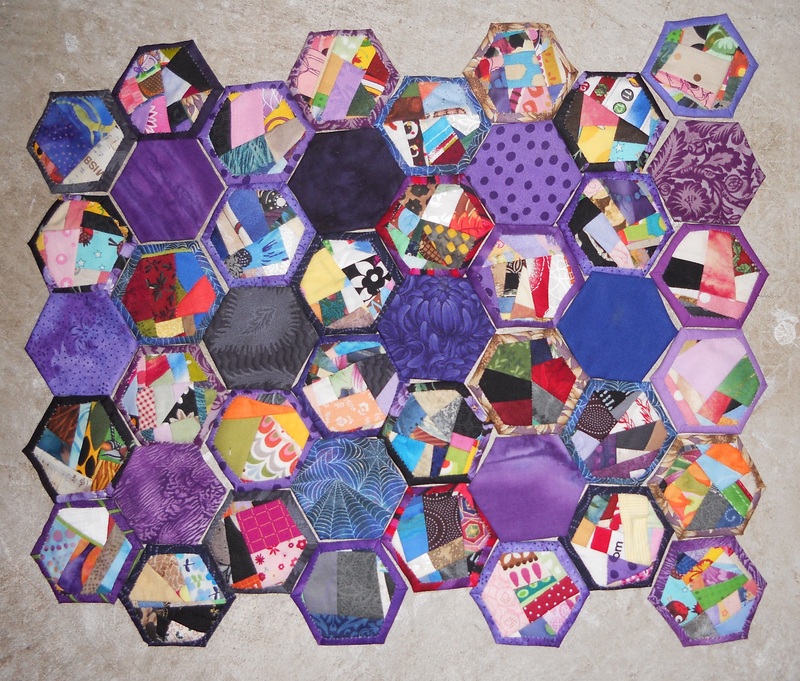 This entry was posted in Art, Artist's Studio, Collaborations, Crumb Quilting and tagged artist, bag, bags, bins, colors, crumbs, dresses, fabric, fabrics, feed sacks, friends, frugality, hexagons, hexies, megan bag, modern quilting, organizing, quilt, quilting, quilts, scraps, sorting, trash on December 3, 2013 by quiltartbymegan. Who’s Had an “Intentional Design Element” Recently? I made a super-cute purse for a teammate from high school recently. (We were in the color guard together… you know, the twirly flag thing with the marching band.) Man my arms were in good shape then. Anyway…. oh yeah. 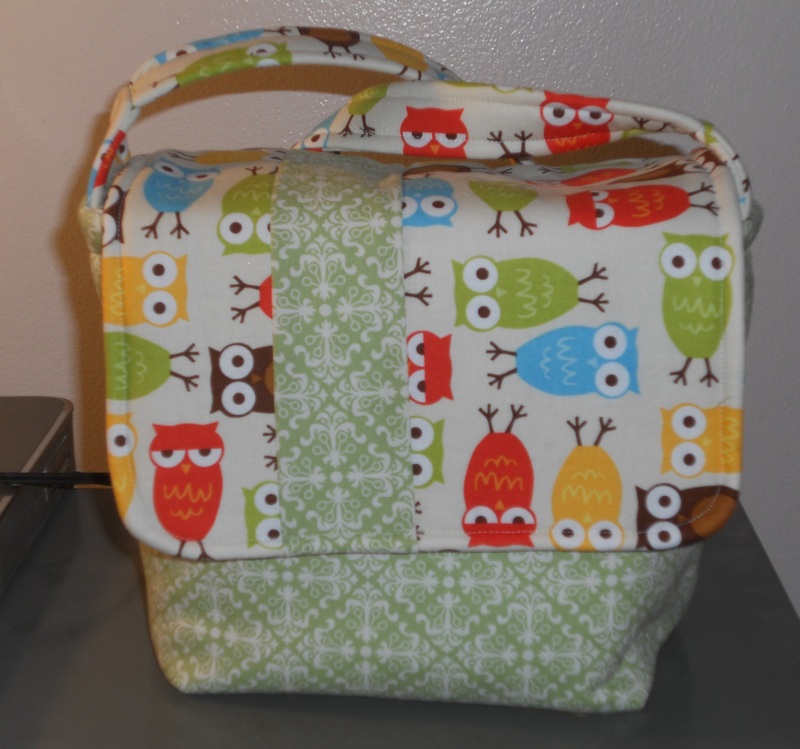 She asked if I could make a purse with owl fabric so I sent her some links to several styles of owls. After she picked one, I just had to wait ’till it arrived and then I could begin. This purse pattern by Sam Hunter includes a flap with a Velcro closure. I messed up the first one that I made. It’s supposed to be 10″ x 10″. I didn’t measure, just thought the strip size was aesthetically pleasing. It was. But it was too short, so I tried to fix that with another strip. Now, had this purse been for me, I would have just run with it. Tell anybody who asked that it was an “Intentional design element!” Also known as, I figured it out in a creative way but you don’t have to know that! Other intentional design elements I’ve done have been caused by running out of fabric or piecing something wrong (sideways, upside down, wrong placement) and just running with it. When I run out of fabric on most projects I just add in something similar. 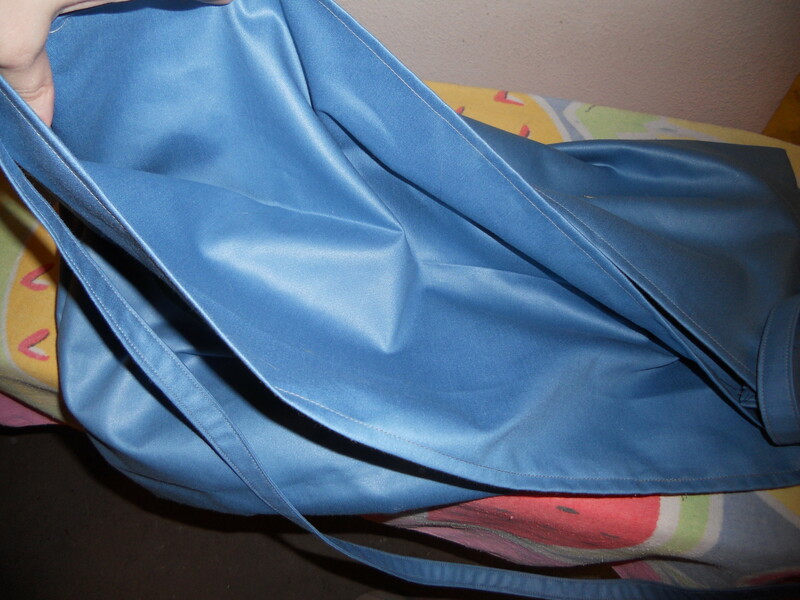 Since this purse is a custom order for an actual paying customer (and I did have enough fabric) I made another flap. Here’s the completed purse. P.S. This bag is only $85 + shipping. Let me know if you’d like to order one. This entry was posted in Art, Artist's Studio, Collaborations and tagged bag, choosing fabrics, chunky wee bag, classmate, color guard, custom, custom order, customer, friend, happy customer, intentional design element, mistake, modern bag, owl, owls, purse, quilt, quilting, quilts, redo, sewing on November 14, 2013 by quiltartbymegan. My baby brother turns 14 today. Let’s face it: he isn’t a baby anymore. This young man excels in sports, scouts, and school. He even has a girlfriend. So this year I asked for his input on a gift. I wanted to make something he’d like to have… not that I’d like him to have. (See the difference?) He asked for a gym bag. Okay, I can do that. More conversations revealed that he’s like to fit a basketball, sneakers, and clothes inside the gym bag.. and that his favorite team is the Boston Celtics. So here’s what I came up with, after going back to the sketchpad many many times. I’m happy with its simplicity… which makes it more likely for this manchild to get good use out of it. I even managed not to cut the “m” into a heart-shape. I made this bag out of one yard of designer-length tapestry cloth. It has two large pockets inside and a long strap. 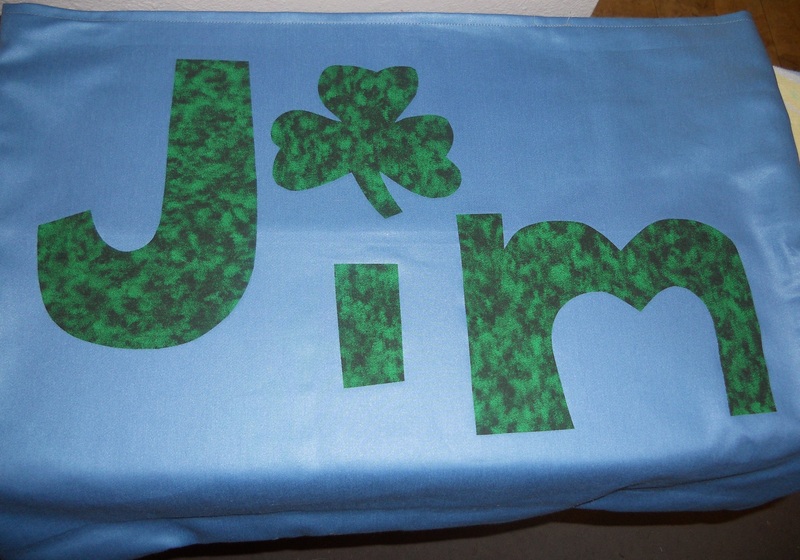 Jim’s name is fused on with heat-n-bond ultra hold. The dot over the letter “i” is the Celtic’s logo. TIP: Choose your fusible webbing wisely! 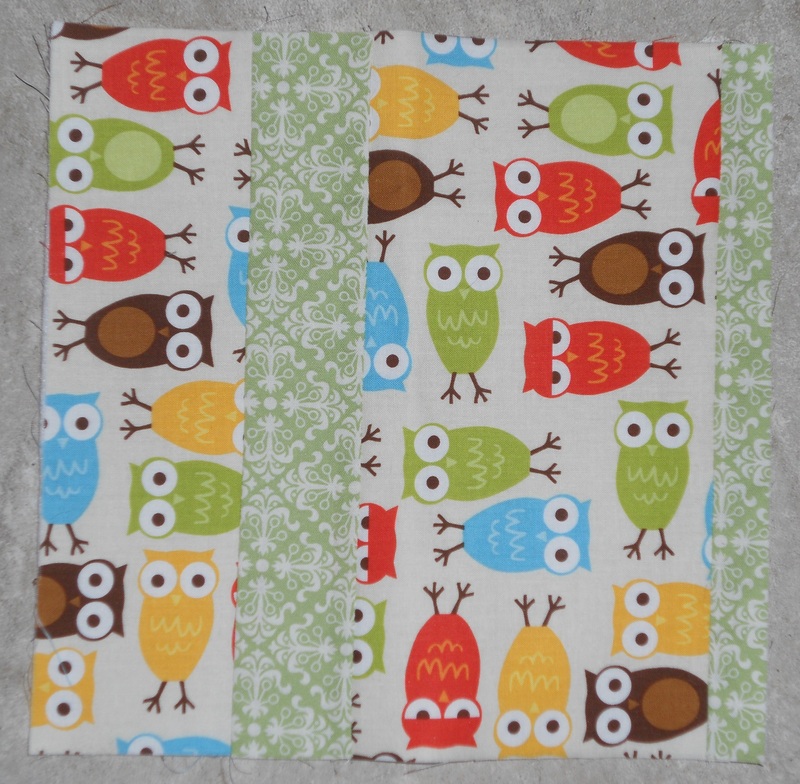 Heat-n-bond ultra hold is great for this thicker fabric that will get a lot of use. Don’t sew through it! It’ll gum up your sewing machine. 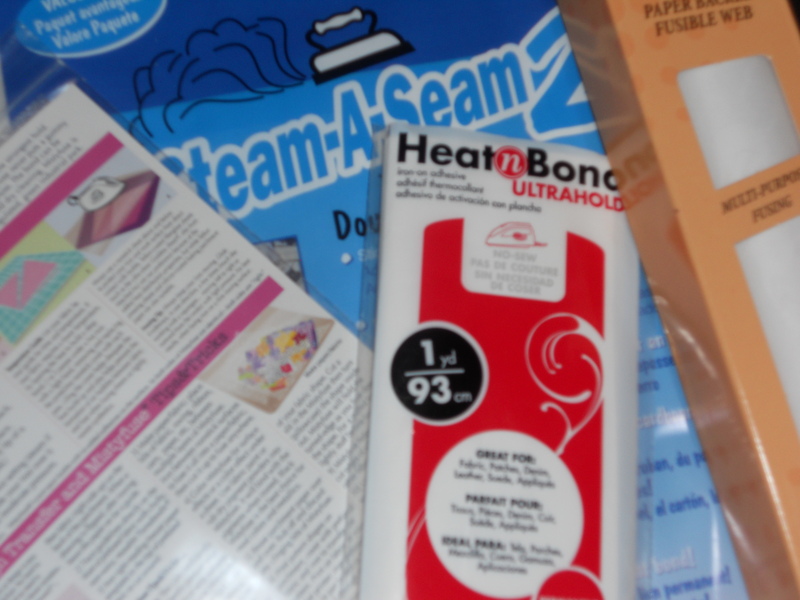 I use seam-a-steam2 for the portrait quilts. It holds well, is stiff, and is still easy to sew through. If you’re making something that needs to be soft I recommend misty fuse. This is not paper-backed, which is why I don’t use it for the portrait quilts. 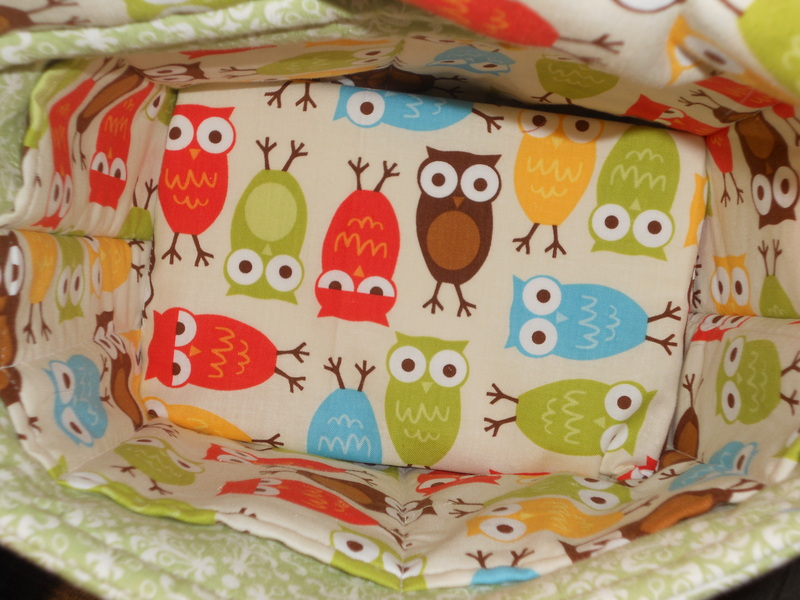 It would take a lot more time than my current method… but when it matters, it will keep the fabric soft. This entry was posted in Applique, Tips and tagged applique, bag, basketball, birthday, brother, Family, fusible, gift, growing up, jim, man, plan the project, simplify, sister, teenager, tips on September 22, 2012 by quiltartbymegan.